If you’re not careful, the whole van can end up being a dirty laundry basket. And it’ll end up smelling that way too. 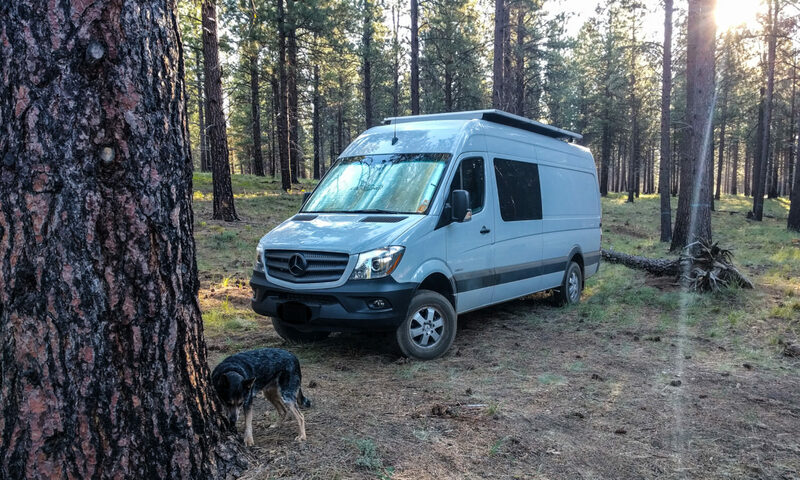 We don’t live full time in the van, so we needed a way to move our clothes in and out quickly and easily. Packing cubes provided the answer because they make it easy to organize and find clean clothes, and to quarantine the stinky ones. We used eBags medium packing cubes. They fit really nicely into the plastic tubs we have under the passenger bench seat. We ordered several different colors so it’s simple to work out which one to grab. 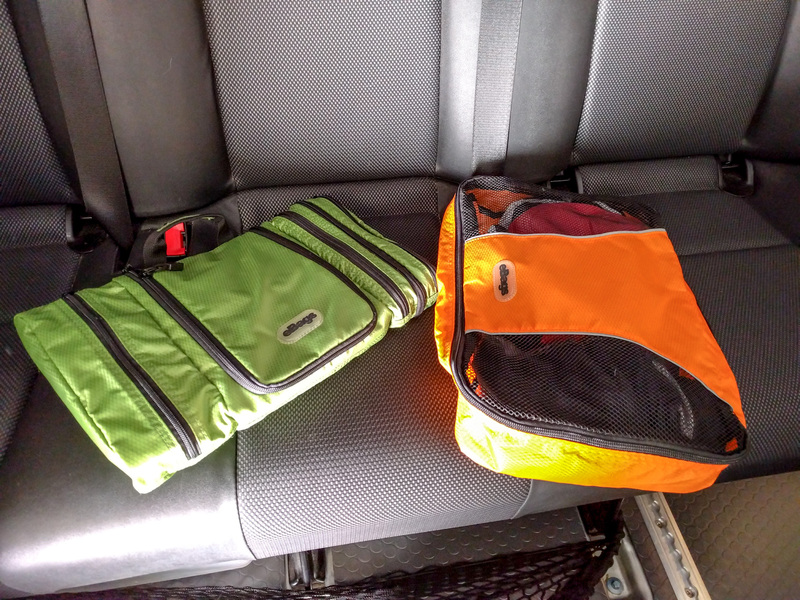 We also have a few Eagle Creek double sided packing cubes. These are deeper, and have zippers on both sides with a baffle in the middle. They are great for storing clean/dirty clothes in separate sides of the pack, or just for dirty clothes that need to air (the mesh side) or need to be locked away (the water resistant side). Roll, don’t fold. If you roll your clothes, they’ll be less likely to crease and they seem to take up less room. Rolling works really well for the packing cubes. It also makes it easier to take one item out without disturbing the others. Wear wool. So long as you stay (relatively) clean, it doesn’t take on body odors, so it can stay fresher longer. That means less clothes to pack. Merino wool t-shirts, underwear, socks and pullovers are comfier than cotton, help you regulate your temperature better, are warm when wet, and can be washed in a regular wash. They also don’t crease much and drop their creases fast once you wear them, if you care about that sort of thing. We also have the eBags toiletry bag, which seems like an extravagance until you realize how handy it is. It’s about the same width as the packing cubes so it fits in the same plastic tub. That means all the toiletries are out of the way during the day rather than rattling around somewhere. When you need them, they are easily accessible from the bag, which we can hang up above our sink. 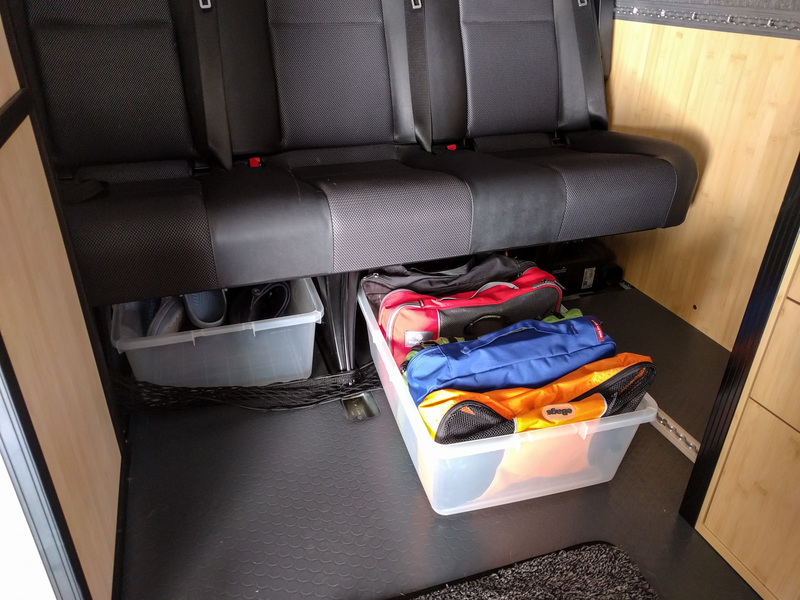 So long as we are disciplined enough to stow our dirty clothes away, this system works really well for us in the van. When we return home, we just have to carry the plastic tub back in to the house. Your website is awesome! I am starting my conversion and am using a lot of your tips and ideas! Thank you!